A groundbreaking partnership has been forged between the AT&T Performing Arts Center and Dallas Summer Musicals that will provide even more opportunities for North Texas audiences to enjoy the best of Broadway. Beginning with the 2019/2020 season, the AT&T Performing Arts Center will make the Margot and Bill Winspear Opera House available to Dallas Summer Musicals for up to four weeks a year. This will provide additional premier performance space in Dallas for touring productions of the finest shows from Broadway. Both organizations will continue to program their own robust Broadway seasons, but the partnership will allow DSM to now present shows in the Winspear Opera House as part of its season subscription, or as add-ons. 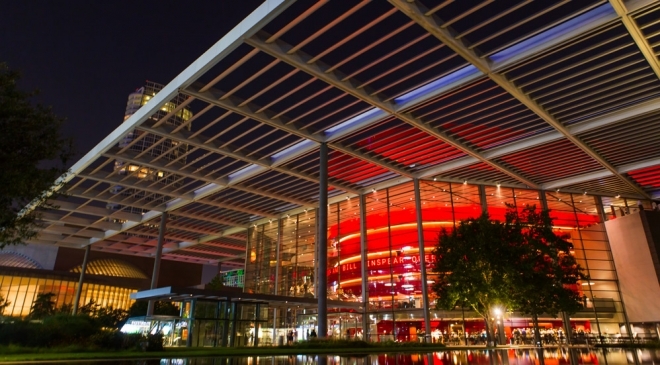 The Winspear, located on the AT&T PAC campus in the Dallas Arts District, seats 2,200 and has been the home for the Center’s Broadway Series since it opened in 2009. The historic Music Hall at Fair Park, which seats 3,400, has been the home of Dallas Summer Musicals since 1951. Access to the Winspear now gives DSM more flexibility to ensure the show and the venue are the right fit. This partnership also is good news for Broadway season subscribers for both organizations. DSM subscribers will have a period of presale access to AT&T PAC Broadway shows at the Winspear – after Center subscribers but before the public. The Center’s Broadway subscribers will have similar presale access to DSM shows at both the Winspear and Music Hall. The subscriber benefits will begin with the groups’ 2019/2020 seasons, which each organization will be announcing separately early next year.